Dolphins in Cardigan bay. — Gwynfro. I traveled to Australia with a wish to get close to wild dolphins, I did and I also took a trip to swim with whale sharks. What I didn't know was that dolphins live here in the UK, now that I live in Ferwig, Cardigan, I am closer to dolphins everyday than I could have every wished! 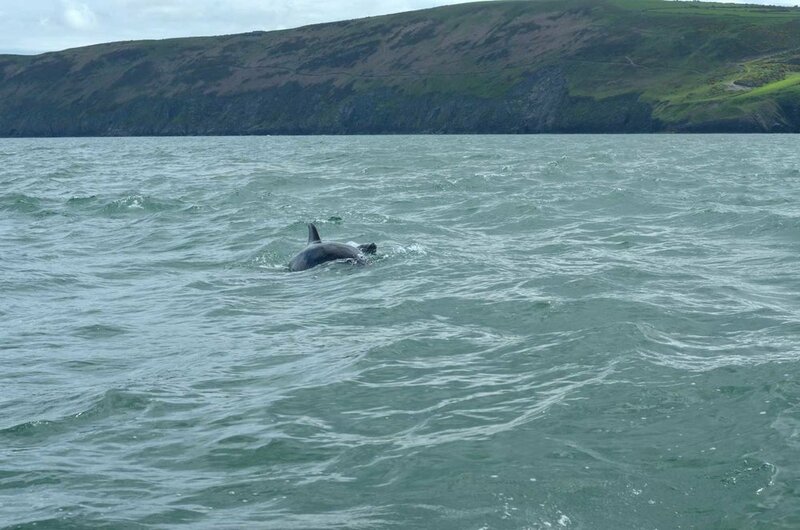 A morning walk to Mwnt will give me a chance to spot dolphin feeding every time the tide is on the move, they seem to gather around Mwnt for the rush of food that gets stirred up as the tide rushes in or out. About the midway point of the tide shift is good to spot them if you look. I have seen them in the same area many times now and often they will take a look at a boat or kayak. To be off the coastline a short distance and have dolphin swimming around you is wonderful. Cardigan town has a boat company that take you on trips along the coastline to look for dolphins and other wildlife, this is a amazing trip in a powerful boat. They are very respectful of the wildlife and will give you lots of information too. The sea around the estuary creates a changing seascape every day with the tide changing every day the light and water look different every time you visit. As a photographer I can never get enough of the sea and skies around Cardigan.